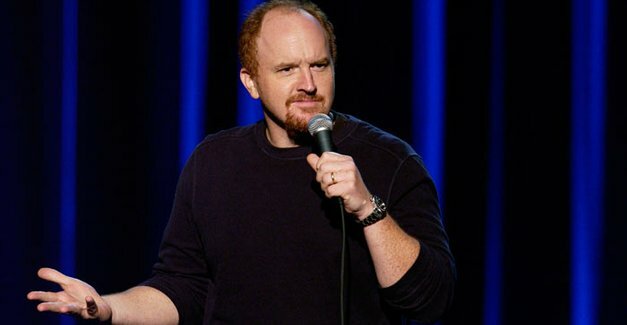 Divorced, forty-something, father-of-two comedian Louis CK has been in the game for 27 years, and his brand of angry, profane, and unflinchingly honest material has earned him thousands of fans, as well as comparisons to such comedy greats as Richard Pryor and George Carlin. While he’s had a rocky relationship with Hollywood (his first major motion picture, Pootie Tang, was re-cut into an unrecognizable mess by film studio MGM, and his first major TV series, Lucky Louie, was canceled after a single season), the comic’s career has flourished in recent years, due in no small part to the power of online distribution. While comedian Louis CK has done traditional TV specials, his latest online-only project has raised more than a few eyebrows--and more than a million bucks. CK (whose real surname is the similarly-pronounced Hungarian “Szekely”) became an Internet sensation with an angry rant commonly referred to as “Everything’s amazing and nobody’s happy” on a 2009 episode of Late Night with Conan O’Brien,, in which he observed that despite great advances in technology, modern Americans seem unhappier than ever. The fact that CK’s remarks happened to air shortly after the 2008 stock market crash made them incredibly timely and the video went viral–the original post on YouTube has since exceeded four million views. As soon as you pay the $5 price for the stand-up comedy show, it’s unlocked as a downloadable video. And aside from limiting the number of times the video can be downloaded per purchase (presumably to avoid excessive bandwidth costs), the show has relatively few legal strings attached–no lengthy terms of service to read, no ongoing subscription, and no sale of your personal information to some enormous corporate entity. CK has released the video more or less on good faith, asking only that fans consider buying the special, rather than downloading a pirated version for free. Digital content continues to be a bone of contention between consumers–many of whom download pirated music, movies, and software for free without compensating the creators–and content providers, who either attempt to use restrictive digital rights management software to prevent illegal distribution, or are exploring alternate distribution methods that can still turn a profit, such as ad-supported video sites like Hulu. Given CK’s popularity, it seemed like his latest special might very well have ended up being yet another piece of content to be pirated rather than paid for; yet on December 21, the comic issued a statement on his Web site stating that the sales of the special had exceeded a million dollars. “So it’s been about 12 days since the thing started and yesterday we hit the crazy number,” says the Web site update. “People are paying attention to what’s going on with this thing. So I guess I want to set an example of what you can do if you all of a sudden have a million dollars that people just gave to you directly because you told jokes.” Specifically, the comic plans to split the pot into four parts: one to be used to cover the special’s original production costs; one to paid out to his staff as a holiday bonus; one to be paid out to various charities; and the remainder to stay in the comedian’s pocket to cover his own living expenses. Of course, CK’s special is by no means the first example of digital content for sale exclusively on the Web, nor is his business model particularly original–for instance, the New York-based startup company Kickstarter has made a business out of letting would-be entrepreneurs openly seek funding online. But the huge success of CK’s special does represent an intersection of in-demand content and inexpensive, customer-friendly digital distribution that actually works–without TV executives and without copy-protection software–and in a way that may very well be a sign of things to come for broadcast media in the future. own site soon but I’m a little lost on everything.